Steven (Chicagoland, United States) on 26 May 2010 in Art & Design and Portfolio. 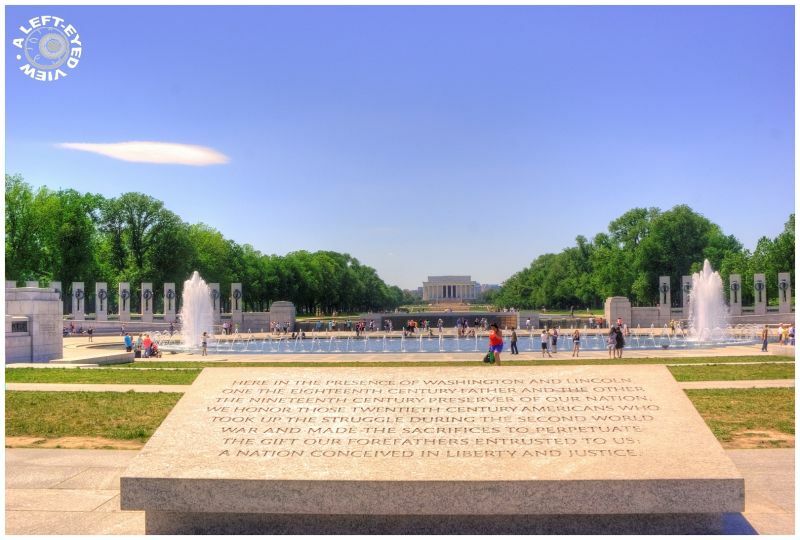 A capture of the fountains in the central area of the World War II monument located in the National Mall in Washington, DC. The Lincoln Memorial can be seen in the distant background. Superb photo and great view. So, your framing is very nice. Have a lovely day Steven. A beautiful site: airy, classy, and not without serenity. Very nice! A most beautiful image and inscription.